Our staff emphasizes ongoing cleaning and maintenance after your hearing aid purchase to ensure you receive optimum performance and benefit from your hearing aids. We encourage all of our patients to come in for a regular hearing aid evaluation and cleaning. Repairs, Maintenance, Cleanings, minimum of a 2 Year Warranty ON ALL HEARING AIDS SOLD. We sell batteries to fit all hearing aids. Please inquire about our battery club. Common battery sizes are 10, 13, 312 and 675. To identify the battery size, manufacturers use an industry standard color code system. 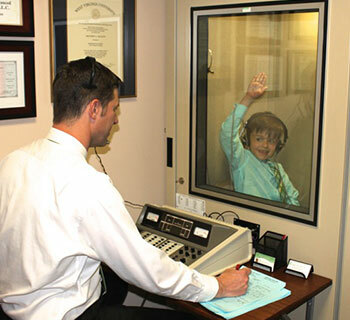 During the VNG test eye movements caused by positional or caloric stimulation of the inner ear balance structures are recorded. The results of the series of studies indicate the presence of dizziness or imbalance due to unequal neural messages to the vestibular system.